Last year, I joined the newly created Diversity Committee of the Children’s Book Council. I’m sure I’ll talk more about it, but for now, I wanted to cross post a few pieces I did for the blog. I couldn’t be more excited to be part of the committee. I had never met the other members (frankly, they’re ALL above my pay grade). Already, I think of them as friends. Here’s my first post, about how I got into publishing. Here’s the first line: When I came to the United States at the age of eight, I spent a lot of time in the library because I needed to learn English, and because none of the neighborhood kids knew yet how awesome I was at Nintendo. I am SO excited to unveil my School Presentation. This is the interactive dog & pony show I do at schools whenever I speak about storytelling conventions and genre writing. I hope you like it! Obviously, if you’re a teacher, I’d love to present this at your school! My email is easy to find if you’re not a spam bot (pssst, it’s below). It’s got lots of a swirly motion, and videos, and stuff. You’ll laugh, you’ll cry, you’ll take some Dramamine. Lemme know what you think. I’m starting the school visit tour this week. I’m probably more similar to the kid in Mary’s banner, though. Except for being a girl and all. 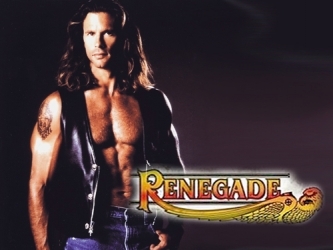 On second thought, I do ride motorcycles–like Lorenzo Lamas–so perhaps it’s a tie. Enjoy the interview. STRAW HOUSE VIDEOS ARE HERE! I have thoughts on book trailers. I’ll probably post them soon. Mostly, they revolve around how hard they are. So, when it came time to create the trailers for STRAW HOUSE, WOOD HOUSE, BRICK HOUSE, BLOW, I was insanely lucky to get the pros at Plywood Pictures to do what they do best. With unbelievable production design by Sara K White. Haunting soundtrack by Carey Wallace and Mark Wallace, The Wallace Bros. I can’t stop raving about the CG effect at the end of this one. It’s hard to convey JUST how hard it is. With a moving camera, a sprinting actor, and a real background (no green screen here), this effect is INSANE. Adam Browne had to go through every single frame (24 frames per second of video), and cut the guy out of the background. Unbelievable. Rube Goldberg machines are the BEST! I spend way too long on Youtube watching them. This video was a great excuse to make one–a real one, by the way, that worked. I love the way Matt Hobby goes, “cheers” and trails off like he’s trying to reel the words back into his mouth. Cracks me up every time. All three amazing comedians (Matt Hobby, Mary Grill, and Chris Roberti) are members of an improv group here in NYC. 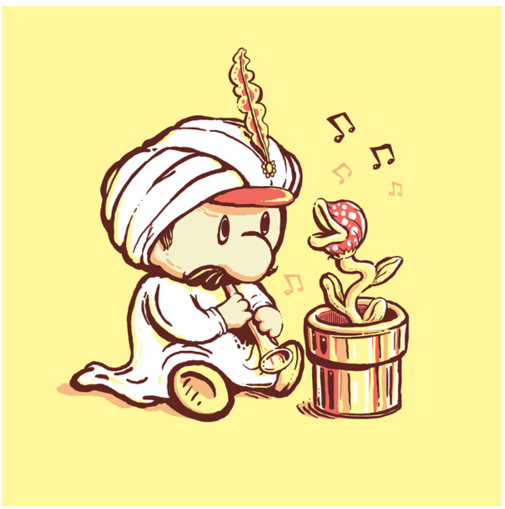 Mario as the charmer of piranha plants? More like Mario as the charmer of OUR HEARTS!